The Bermuda Sloop Foundation said they are “very pleased to report that the actions and seamanship of the Captain and crew of Spirit of Bermuda were found to be in full compliance with maritime regulations” after the charges against the Captain piloting the Spirit of Bermuda were dropped in Court. 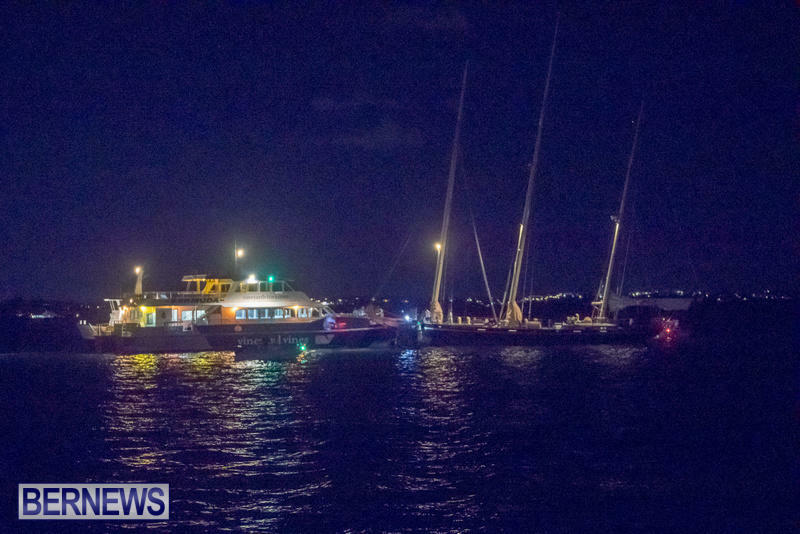 This follows after charges were brought following a marine collision in the west end involving the Spirit Of Bermuda and a ferry in September of last year. The Foundation said, “The Marine Police and the Director of Public Prosecutions brought charges against Captain James Doughty [piloting Spirit of Bermuda] and the Captain of the fast ferry Resolute relating to a collision in Dundonald Channel, in September 2017. “Captain Doughty appeared in court earlier this week to answer 2 charges [failure to maintain a lookout and failure to avoid a collision] both of which were denied and defended. “The Captain of Resolute is due to appear in court in May 2018 to answer 4 charges. “Regarding Captain Doughty’s case, the Magistrate ordered that there was no case to answer and consequently both charges were dropped and the case against him was dismissed.